(P2) I am a 34-year-old woman who lies awake until 2 or 3am most nights. There is a stream of thoughts, images, and SCENARIOS running through my mind. I think about moving to a new house, all the things we don’t have, and how I pretend to like change when really I don’t. I think about the man at work who would have an affair with me if I said yes. I tell myself I should be a better mother, and then wonder if I have time to have another child. I don’t know what to do to break this cycle of thoughts that keep me awake. I am very tired. (P4) Aren’t we all? All my female friends seem to have this same problem of nighttime ANXIETY. We lie awake at night FRETTING about everything. (P5) The topics that you’re thinking about are interesting. There’s clearly a lively, questioning mind at work, looking for answers. That’s all good news, but an INQUISITIVE mind like yours can easily become depressed. (P6) Lack of sleep is very bad for your mental and physical health. Dealing with this might require the help of your doctor, who can decide whether to put you on MEDICATION or not. (P7) I have personal experience of INSOMNIA. The less you sleep, the more you worry, so the less you sleep. Medication might help you, but you also need to change the way you deal with your thoughts. (P8) Talk to your spouse or friends about your worries. Write them down in a JOURNAL. (P9) Approach the night a little differently. Relax and WIND DOWN before bedtime. A hot bath, a relaxing nighttime tea, a chapter of a good book – and plenty of exercise and fresh air during your waking hours – will all help you get ready for a nice sleep. (P10) There are no instant cures for your problem, but all of these ideas could be helpful! 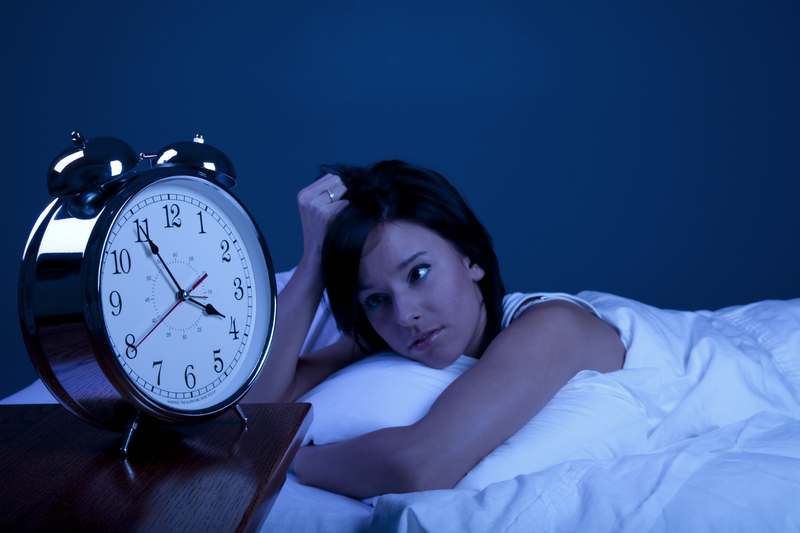 Have you ever suffered from insomnia? What did you do about it? Do you think that you get enough sleep at night, or not enough? Do you worry about many things, or not too much? What do you like to do before you go to sleep at night – read, watch TV, or something else?